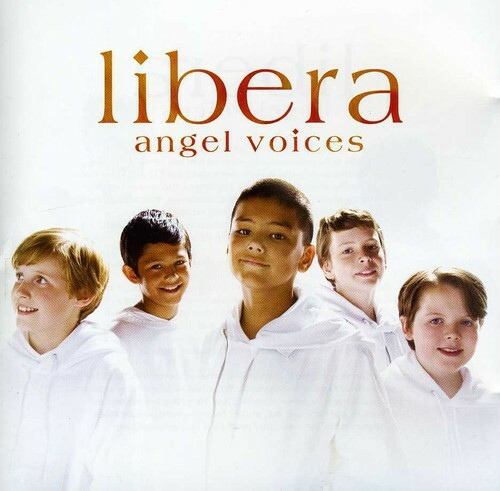 The beautiful full-color liner notes of "Angel Voices" fold out to show us a panoramic portrait of white-clad boy singers, ages 7 to 14, members of renowned 23-voice, South London-based boy's choir, Libera. Libera's repertoire is wide, from classical and cathedral pieces to works for pop and media productions. The backlit photo makes the boys appear to be angels, and that impression is not at all diminished by the sweetly soaring music. "Far Away," "Sanctus" (based on Pachelbel's "Canon"), "Ave Maria," the touching "Going Home" (based on Dvorak's "From the New World"), the lovely hymn "Be Still My Soul," the stunning "Salva Me," "I Vow to Thee, My Country," "Voca Me," the poignant, "Always with You," "We Are the Lost," the marvelous "I Am the Day" and "Recordare" are favorites, but all 15 light-to-heavily-accompanied tunes are very fine. Pure soprano leads and harmonies, a touching, well-chosen song selection - "Voices" is a choral treat that lifts us up from the earthbound mundane to the bright, clear, rarified air of angels.